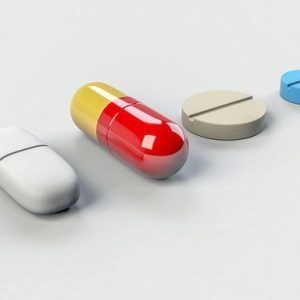 Not too long ago, research came out that caused concern among many: PPIs (Proton Pump Inhibitors), the medications (such as Nexium or Prilosec) used for heartburn, stomach ulcers, GERD and other gastrointestinal ailments, seemed to be linked to higher incidence of dementia among long term users. That’s worrisome, as so many of us rely on these drugs for relief of ongoing distress. However, in newly published research in the journal Gastroenterology, the authors came to the conclusion that in fact no such link with increased dementia exists when using PPIs. While no drugs are without risk, the researchers concluded that PPIs are an effective treatment that should continue to be prescribed for patients in need. However, at the same time, in the British Medical Journal, researchers from Washington University in St. Louis once again warned of potentially serious side effects from PPIs, including heightened risk of fractures, kidney disease and even death. How are consumers to figure out which way to go, given these seemingly conflicting pronouncements? Part of the problem may be that because PPIs can be available without prescription, too many of us are taking them for too long without careful consideration of need and risk. If this sounds like you or a loved one, best to consult your physician about your specific circumstances and whether long term usage of PPIs makes sense for you. Read more about the study published in Gastroenterology Here and take a look at what the researchers from St. Louis suggest Here.